OXFORD, Miss. – University of Mississippi professor Catarina Passidomo is looking forward to traveling to Lima, Peru, to teach and conduct research in 2019 as the recipient of a Fulbright U.S. Scholar award. “As a scholar of Southern (U.S.) foodways, I have taught and directed research that uses food as a lens to explore social and cultural phenomena: who has power in a society and who lacks it; how people interpret or remember the past; how race, class and gender identities influence what and how people produce, consume and think about food,” Passidomo wrote in her Fulbright application. The grant period is four months, beginning in March 2019. “I first became aware of Peru’s culinary renaissance – what is often referred to as its ‘gastronomic boom’ – the explosion of global interest in Peruvian food and the tremendous national pride that accompanies it – during a CIEE Faculty Development Seminar on Peruvian Foodways in Lima during the summer of 2015,” Passidomo said. Passidomo, who also works closely with the Southern Foodways Alliance, said she is ecstatic about the opportunity. Once a year, Passidomo teaches Southern Studies 555: Foodways & Southern Culture, an innovative class available to graduate students and advanced undergraduates. She also is also a successful teacher outside the classroom, said Ted Ownby, director of the Center for the Study of Southern Culture. “People come to foodways scholarship from lots of directions, and Catarina has done an excellent job both listening and teaching,” Ownby said. Passidomo leads the Southern Foodways Alliance fall graduate seminar in foodways by both critiquing and encouraging papers and presentations in the quickly-changing academic field of foodways scholarship. At one Southern Foodways Symposium, she served as scholar-in-residence, introducing talks by various speakers, connecting them to each other, raising academic questions to an audience that mixes many people, only a few of whom are professional scholars. Passidomo serves on the SFA’s academic committee, which is committed to setting high academic standards for the organization’s projects, and she is a mentor to Ole Miss students outside the classroom, serving as a faculty adviser for the “Real Food Rebels at the University of Mississippi” student group. The Fulbright program, which aims to increase mutual exchange between the people of the United States and of other countries, is the flagship international educational exchange program sponsored by the U.S. government. Fulbright alumni have become heads of state, judges, ambassadors, cabinet ministers, CEOs and university presidents, as well as leading journalists, artists, scientists and teachers. They include 59 Nobel laureates, 82 Pulitzer Prize winners, 71 MacArthur fellows and 16 Presidential Medal of Freedom recipients. The Fulbright offers fellowships for teaching, research and teaching/research. Passidomo’s award is teaching/research, part of the Educational Exchange Program between Peru and the United States. Kirsten Dellinger, Chair of the Department of Sociology & Anthropology and Professor of Sociology, said she was thrilled to learn that Passidomo received the Fulbright. A native of Naples, Florida, Passidomo received her doctorate in human geography from the University of Georgia in 2013. 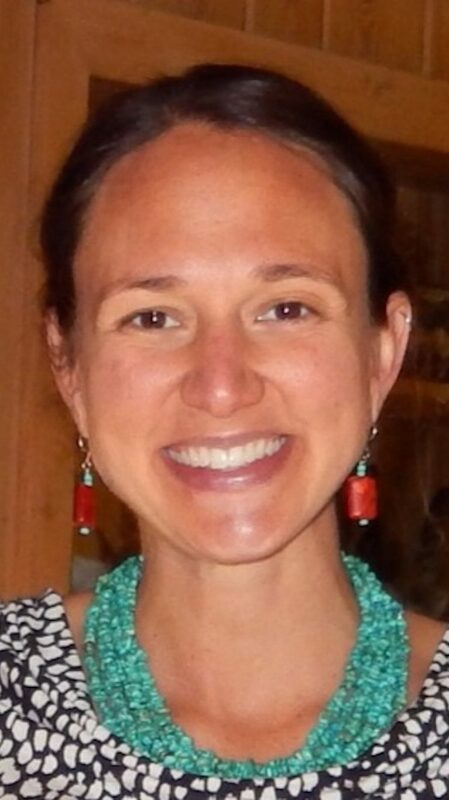 She also holds a master’s degree in ecological anthropology from the University of Georgia and a bachelor’s degree in sociology and anthropology from Washington and Lee University.